It’s been quite a week for funding rounds for African solar startups, wrapping up another excellent year that has made companies in the space among the most popular targets for investors. First, Tanzanian off-grid solar energy provider Off Grid Electric raised a US$25 million funding round, enabling it to expand to a second market, Rwanda. This comes after a US$16 million raise in December last year. Then, it was announced Kenyan pay-as-you-go solar energy startup M-KOPA Solar had raised a US$19 million funding round, to be used to expand the company’s management team, product range and international operations. Disrupt Africa reported in February M-KOPA closed its fourth funding round, raising US$12.45 million. In December 2013, the startup raised a US$20 million round, with two other rounds prior to that. It isn’t just the size of the rounds that is impressive, but also those that are taking part in them. M-KOPA Solar’s funding comes in part from London-based Generation Investment Management – co-founded by former US Vice President Al Gore – as well as Sir Richard Branson and Steve Case. It wraps up a 2015 that has again been fruitful for African solar startups, with Oolu and Angaza among those to also raise impressive rounds. Disrupt Africa has reported previously the continent is set to be in the vanguard when it comes to solar. Africa has a history of leapfrogging certain technologies, and there are certainly suggestions this will be the case with energy. Though governmentally South Africa has lead the way in preparing for solar power – leading global authority Wiki-Solar said last year the country had moved into the top ten countries worldwide in terms of its use of solar energy – East Africa leads entrepreneurially in the sector, which is perhaps why the major investments are heading to startups in the region. East Africa is blighted by lack of access to electricity – only 23 per cent of Kenyans, 10.8 per cent of Rwandans and 14.8 per cent of Tanzanians respectively have access to the grid. Yet companies like Off Grid Electric and M-KOPA Solar, as well as the likes of SolarNow and Juabar, are making waves by rolling out affordable access to solar. Frost & Sullivan says this will continue, saying East Africa is emerging as a hotbed for energy related investments as a result of its robust economic growth. Countries like Tanzania, Kenya, Ethiopia, and Rwanda are gradually shifting to modern energy sources to meet the growing demands of the expanding urban population and the rising per capita income levels. According to the company, the region will provide immense opportunities for companies specialising in renewable energy. “Energy development is gaining priority as East African economies look to attain middle income status over the next decade,” said Frost & Sullivan energy and environment senior research analyst Neeraj Sanjay Mense. 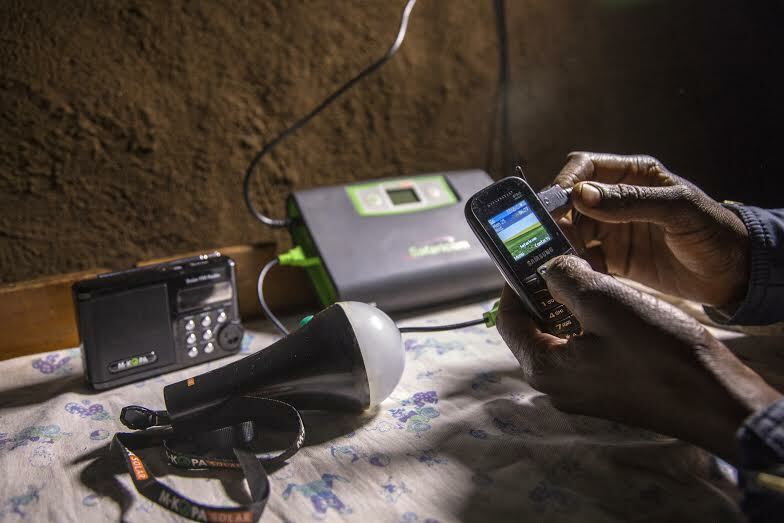 Investment from the private sector evidence by the M-KOPA Solar and Off Grid Electric rounds is “critical”, Frost & Sullivan said, as the East Africa energy reserves require substantial funding in order to reach full potential, which cannot be met by government subsidy alone. Though the company said issues pertaining to finance, political stability and security could limit this private sector participation, the size of the recent rounds suggest this is not the case. “An adoption of mechanisms to share technical knowledge through international cooperation will ensure steady growth,” said Mense.